This blog post will cover what we’ve achieved, how our biggest, most exciting challenge is yet to come, and how government needs to work together to get there. In my last blog post on GOV.UK’s content operating model, I wrote about the discovery work we’d completed and explained why government has a content problem. I described the barriers faced by the cross-government community when trying to design user-centred content. This highlights the need to be transparent about how we work. Mapping the user journey of someone who needs to interact with our publishing service as part of their job is the first step in that. We mapped the process to show how a piece of content gets published on GOV.UK and found that it takes at least 17 steps. Since we publish important information that citizens rely on, we need to have checks in place.This highlights the importance of improving processes like our '2i' content review. Our research revealed our guidance isn’t as good as it could be - government users weren’t sure where to find the single source of truth. Our strategy for how we produce and manage publisher guidance needed to be better, based on understanding the user need. We need to keep it updated and accurate, and make it clear that blog posts are for sharing ways of working and things we’ve learned - not for guidance. We’ve created a new guidance manager role to improve our publishing guidance on things like withdrawing and archiving content, as well as the style guide and our content strategy for publishers. We’re also working to improve the process of getting a service start page on GOV.UK. 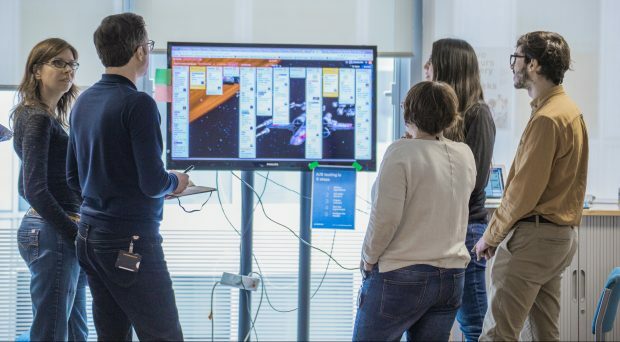 We’re doing things like pair writing with service teams, doing GOV.UK content reviews as part of service assessments and training more content designers to be service assessors. My colleague Cat Gordy, Head of Content for GOV.UK, is working on trialling different ways of working with the Ministry of Justice (MoJ) and the Department for Work and Pensions (DWP) around start pages, and will be writing a blog post to share what we’ve learned soon. Content designers working on services and content designers working on publishing content to GOV.UK rarely interact. But to citizens, it’s all GOV.UK, whether it’s a piece of content or a transaction. The new Digital, Data and Technology job taxonomy brings together content designers regardless of what they’re working on. We defined the role, to focus on the end-to-end journey across a service, focussing on the policy intent and helping users to complete their goal. The main point is highlighting that content designers - whether they’re working on flat content, letters or a transaction - can all work on the same service, just different parts of it. We’ve also been iterating our training based on feedback from the content operating model discovery, including train the trainer sessions to help agencies and departments self-serve. Public Health England (PHE) have done this to huge success and written a blog post about it. And it’s not just the content community we’re working with. Alongside designers and user researchers, we’ve been working on an introduction to user-centred design course for the Digital Academy. We’re helping colleagues working in digital across government understand the importance of a user-centred approach, what content design is and why they need to work with content designers to get the best experience and result for citizen users. We also know our events are important, like our last cross-government content conference, ConCon5. We’ll keep iterating that based on feedback and work to keep meeting the needs of the content community. We are one of the biggest communities in the government Digital, Data and Technology profession, with almost 3,000 of us. There is so much power in those numbers and our events help to strengthen our community. We can work together to put user-centred content practices at the heart of government. We know that finding things on GOV.UK is made more difficult by the high volume of content and the low quality of some of it. So we’ve kicked off a new programme of work: grouping and transforming content. This work has been committed to in the Government Transformation Strategy. One of our committed priorities is “overhauling government’s legacy content and outdated publishing practices by 2020, so government services are clear, well maintained and easier to find on GOV.UK”. We aim to have a single, user-centred taxonomy by 2020, like the one we’ve recently developed for education, working closely with the Department for Education (DfE) and its agencies. We’ll be working with departments and agencies to go through all their content, theme by theme, consolidating, iterating and improving it and helping them develop plans to improve how they manage their content in future. It’s really important that it’s not about GDS managing content, but about GDS working with organisations who need our help to understand what good content is. We’ll support organisations by giving them the tools to audit their content and the skills they’ll need to get buy-in to maintain and improve it. Content is so fundamental to the user experience and therefore to the success of GOV.UK - but it’s really hard to measure. I’ve spent most of my professional career trying to find good ways to measure content. We’ve done some thinking on this and are working on a way we - government - can collectively share meaningful measurements for the most important user tasks on GOV.UK that go beyond page views or scroll depth. We’ll share more on this soon. If you’re interested in finding out more about content transformation and how to prepare for it, please get in touch with me or come along to the next GOV.UK quarterly showcase event. Trisha is the Head of Content at GDS. You can follow her on Twitter.